London’s Gatwick Airport says flights have resumed after a temporary shutdown due to a drone sighting. The airport said in a statement Friday evening that “military measures” in place at Britain’s second-busiest airport made it safe to resume flight operations. It says takeoffs and landings had been suspended earlier Friday — for roughly 80 minutes — as a precautionary measure while an investigation was underway. Drone sightings had also shut down the airport on Wednesday night and all day Thursday. The shutdown came roughly 11 hours after flights had resumed Friday morning at Britain’s second-busiest airport. London’s Gatwick Airport says the travelers should expect “knock-on delays and cancellations to flights” despite the reopening of the runway following about 36 hours of chaos caused by drones flying near the airfield. The airport has said in a new statement “If you are due to travel from Gatwick today, we strongly recommend that you check the status of your flight with your airline before departing for the airport. The prospect of a deadly collision between what police described as industrial-grade drones and an airliner led authorities to stop all flights in and out of Gatwick, Britain’s second-busiest airport by passenger numbers, on Thursday. The drones were first spotted Wednesday evening. 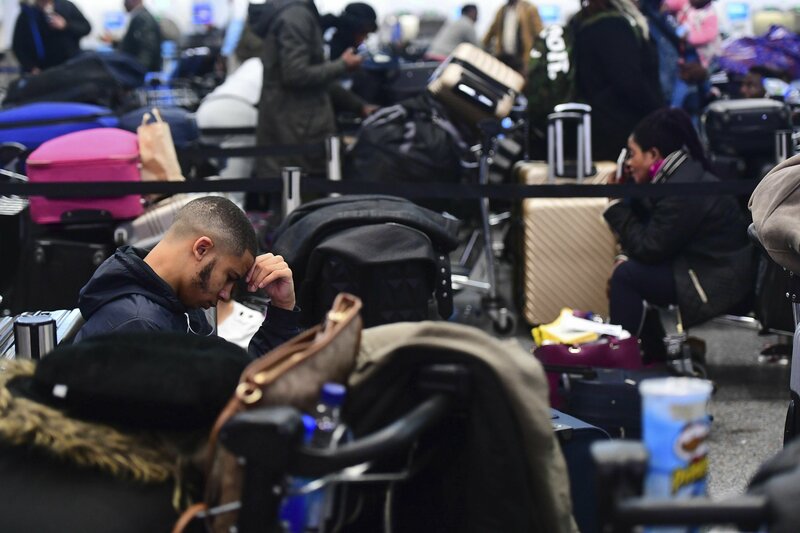 London’s Gatwick Airport says flights are resuming after drones sparked the shutdown of the airfield for about 36 hours, leaving tens of thousands of passengers stranded during the busy holiday season.